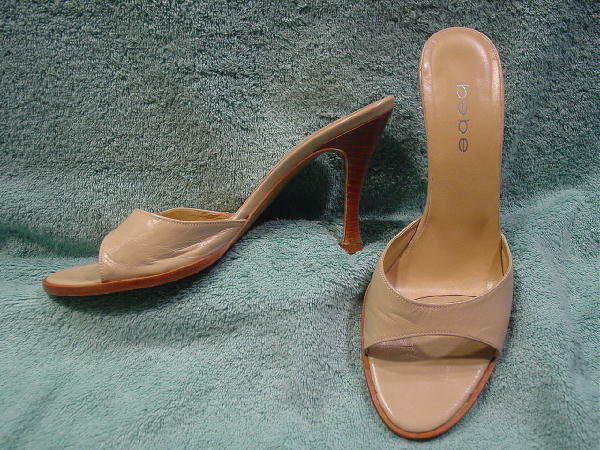 These leather slide high heels are by BeBe and were made in Spain. They are in a dark sand color with the slightly padded insole in a light camel color. 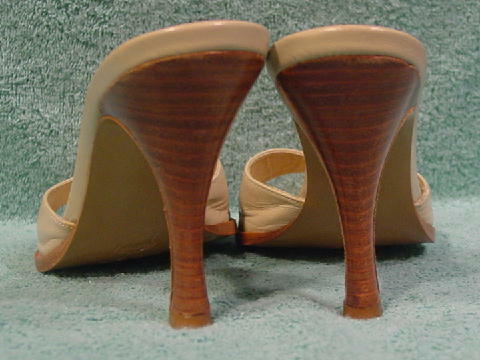 They have faux stacked high heels and leather soles. They're from a stylist's inventory, and was worn twice in photo shoots.